NOT MUCH TO DO IN THE FIRST OF THE YEAR? Check all your gardening tools and equipment to make sure they are clean and in good working order, especially if you didn’t do it in the fall. Organize a notebook for use to keep a “Garden Journal”. Make rough drawings of beds and borders. Note areas that may need changes. Collect photos taken during the growing season and add them to the notebook. Walk through the garden to get a general impression of how it works. Is the garden generally a pleasant place to spend time? Are there holes in the structural plantings that you need to remedy? 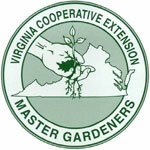 Are there evergreens that are too big for their location or that need pruning? Take another walk around the garden on a mild day and look for pops of color and fragrance. Things like berries that last throughout the winter, early blooming daffodils and winter blooming honeysuckle. Color and fragrance help winter doldrums. 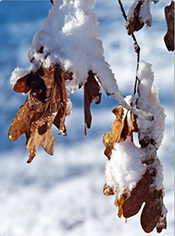 Check to see if any plants have heaved out of the ground during periods of freeze-thaw conditions. Spend some time curled up with your favorite seed catalogs and dream about what you want to grow this year; then place early orders to ensure you get those special seeds that you really want.